For opera fans, there has become a certain electricity around Alexander Neef‘s innovation of the Centre Stage Gala. 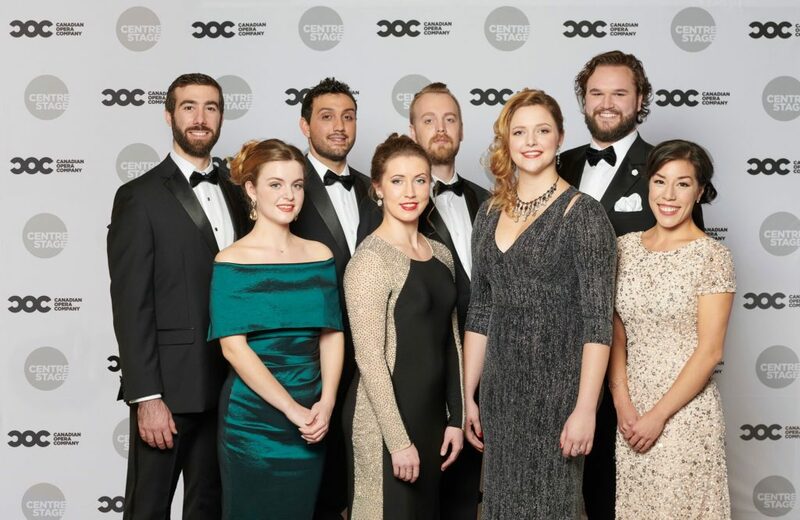 Centre Stage is when young singers from across Canada compete for cash prizes and spots in the Canadian Opera Company‘s world class internship program, the Ensemble Studio. It’s a little bit like going to watch minor league games but in very nice clothes; looking out for who clearly has the goods and enjoying a sense of having spotted them early as they make a career. The real treat of the Centre Stage is that there are great surprises. The young singers come from across Canada, the finalists in a competition that encompasses almost a hundred auditions some years. For the 2018 competition, hosted by legendary tenor Ben Heppner, a slate of eight finalists were assembled from sea to sea to compete and after wine and snacks the crowd eagerly filed in to the hall to hear them. In a talented field, a few singers clearly stood out. Matthew Cairns, who won both the $5,000 first prize (given by board chair Justin Lind) and the CBC prize, electrified the audience with his Massenet aria – in my section of the audience a rustle was palpable as everyone turned to one another and exchanged glances of pleasure. Andrea Lett, who shared the CBC prize with Cairns and also took home the Audience Choice award for her crowd-pleasing Caro nome from Rigoletto, with full vocal gymnastics on display. Rounding out the awards were Vartan Gabrelian in second place (a $3,000 prize) and Jamie Groot in 3rd (a $1500 prize). An additional pleasure of the event is the surprise guest, who performs while the judges deliberate. This year, to my great pleasure, it was the marvelous Emily D’Angelo whom we saw win the competition three years ago (literally on one foot, with the other in a cast) and who has been taking the opera world by storm since. Now steady on both feet, and wearing a tremendous silver silk suit, D’Angelo showed the fabulous color and textures of her mezzo voice and reminded us all why we’d sighed happily over her in 2015. Now there’s Matthew Cairns to look forward to, and others of the competitors, joining Simona Genga (the 2017 winner, whom I hear is singing the lead in this year’s children’s opera, so stay tuned for that) and the rest of the Ensemble Studio in ensuring delightful Canadian Opera seasons for many years to come. The Centre Stage Gala was held on November 1st, 2018 at the Four Seasons Centre for Performing Arts.